MLB Pro’s 8th season is set to begin tomorrow. While eight season on its own might not be that impressive, the notion that this league has now been together for eight real-life years is beyond impressive. Not only that, but a large majority of you have been apart of this league for that time. As we embark on the season, we enter what will most likely be our final year of OOTP18. With the release of OOTP20, barring a complete mess of a game (unlikely, unless you ask Ryan for his thoughts on OOTP) we will be making the switch at the end of the season. While no other major league changes are in the foreseeable future, if there are ever ideas on concepts, rules, or anything league related, please continue to not hesitate to reach out to me and I’d be happy to hear them and think about them. The daily nature of MLB Pro has proven not to be for everyone. We have lost a GM or two nearly every year when they realize the grind that it takes. That said, I really do appreciate and want to thank everyone for what they give this league, especially during our lengthy off-season. It feels really good to know we have a long season ahead of us. I want to wish everyone in the AL East the best of luck this season. Andy and Mitch, you both tasted the playoffs last year and very easily could be back on your way to doing so again. John, few were as busy at the deadline as you were, it’s going to be a fun year to see what all those new pieces will do this season. Brett, it’s only up from here, good things are coming to Boston. And finally Rhett…welcome to New York. In the mold of George Steinbrenner, it is abundantly clear you will do what it takes to build the Yankees back up. I want to wish everyone in the AL Central the best of luck this season. Rocky, having Gary Copeland in the middle of your lineup gives you a great outlook any season. Jonathan, the rebuild in Chicago has been put in the fast lane, bright things could be ahead for the White Sox. Ayden, things might have gone sideways last season, but your energy in Cleveland is beloved by Indian fans…not to mention you take part arguably the best rivalry in MLB Pro. Jim, your first season in Detroit was tough, here’s to a positive step forward with a Tigers organization that has great history within the league. Finally Rob, again welcome to MLB Pro. Filling the shoes of Rhett is no easy feat, but it’s clear the team is in good hands. I want to wish everyone in the AL West the best of luck this season. Matt, the Astros continue to scare the crap out of me. It’s only a matter of time before you unleash the countless high-end prospects you’ve accumulated and find yourself at the top of baseball. Jason, building the A’s is no easy task. Doing so within this division makes it even harder, but you’ve managed to build a team that can compete and can be a great pain to play. Kevin, coming off of an 84 win season and with the moves you have made, the Rangers are right there too. Soze, you know the drill…keep reading. I want to wish everyone in the NL East the best of luck this season. Brenton and Bruce have long been the class of the National League. Between you both there have been ten playoff appearances and three NL Championships. It will be a fun race to watch once again. Of course not far behind stands the quiet assassin in John’s Phillies, a team that has won 81 or more games in each of the past four seasons. Tony’s Nationals very quietly won 84 games last season and appear ready to make another run at a playoff spot. And while Ryan’s Marlins struggled last season, the young rotation could be among the best in the NL. I want to wish everyone in the NL Central the best of luck this season. Here’s to hoping someone will finish above .500 this season! In all seriousness, despite the misfortunes of the division last season, it’s a division filled with quality management. Jack’s Brewers are the defending division champs and will be a threat again this season. Scott will work tirelessly to get the Reds in position to become division champs again. Ryan’s Cardinals took a step back in 2018, but they have a long history of being among the best in the NL, history is on Ryan’s side that good things are coming back to St. Louis. Jabs, you are a staple in Chicago and always a great contributor to the league with the auctions. Your presence is greatly appreciated. John, you have made it through the off-season. The fun is set to begin. While the task is not easy, it’s clear you are ready to lead the organization to bright success in the future. I want to wish everyone in the NL West the best of luck this season. Sam, you’ve won the division in each of your first two years, is a three-peat coming? Here’s to keeping Southern California as the home of the best baseball in MLB Pro. Ryan, you were busy last year and perhaps only injuries were the downfall, if the Giants stay healthy, they could be fighting late into October. Speaking of fighting, the rivalry you share with Mitch and the Rockies is a great thing for the league. Eddie, you have the Rockies on the up and up, you’ll be right there with everyone else. In what could be the deepest division in baseball, we head further south to San Diego where Sean narrowly missed the playoffs. The Padres are a hard team to figure out, but there’s no questioning their leadership. And quietly there’s Jay. Like Houston, you have accumulated loads of young talent. Vlad Guerrero is on his way soon and when paired with your other pieces, the NL West better be ready for you. And as always, to my fiercest on-field rivalry, that of the Seattle Mariners and Soze. I simply could not run this league without you. Whether it’s helping me with sims, talking me through some of my crazy ideas, or being able to help out in the countless other ways you do, your help is beyond appreciated. While Eovaldi might be gone, I remain terrified of your team. Battles within the division are never easy, but they are always fun when it comes to competing with you. So with that, here’s to enjoying the 2019 MLB Pro season. As always, if you ever need anything, if you ever have ideas, or anything else, do not hesitate to reach out. 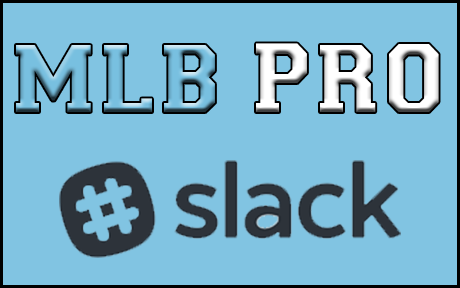 Thank you to everyone for being apart of MLB Pro. The success of this league and the longevity we have is a direct result of all of your contributions.